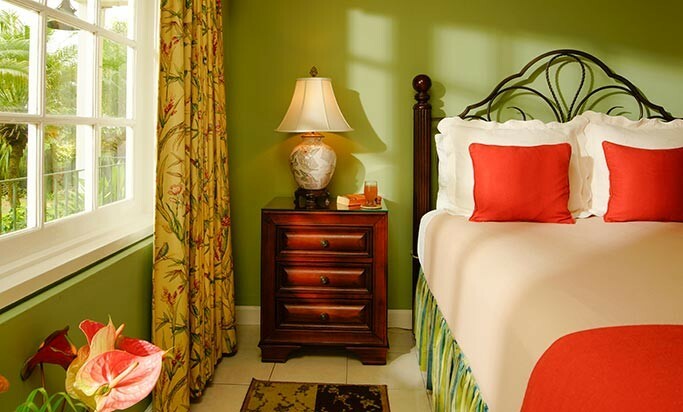 This is our smallest room but is very comfortable and its large picture window frames a beautiful view of the bay. 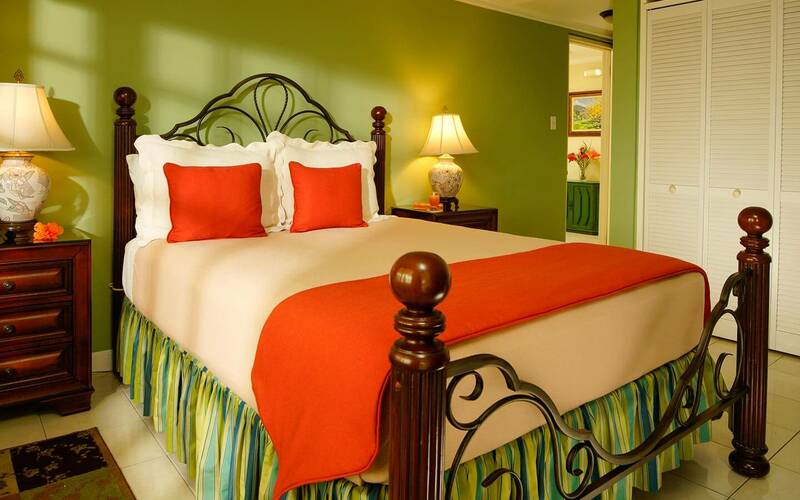 On the lower level this air conditioned room has a queen size bed and a bathroom en suite with full size walk-in shower. 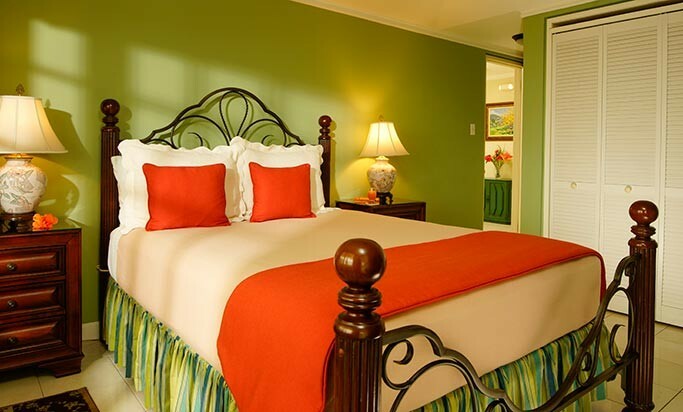 If you prefer a larger room for your Jamaica Honeymoon then check out our premier room on the upper level.